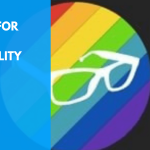 If you’ve been using the platform, you’ll know that there are numerous targeting options and settings that cater to different types of businesses. These countless options and settings can often be overwhelming and difficult to understand when launching a new marketing campaign, which can easily eat into a large chunk of your marketing budget spent without achieving your marketing goals. I’ve seen this translate to thousands of dollars wasted in ad spend. In this article, I’ll share my top 7 tips to make sure your business is seeing a healthy Return On Investment (ROI) for every dollar you spend on AdWords, in 2018 and beyond. 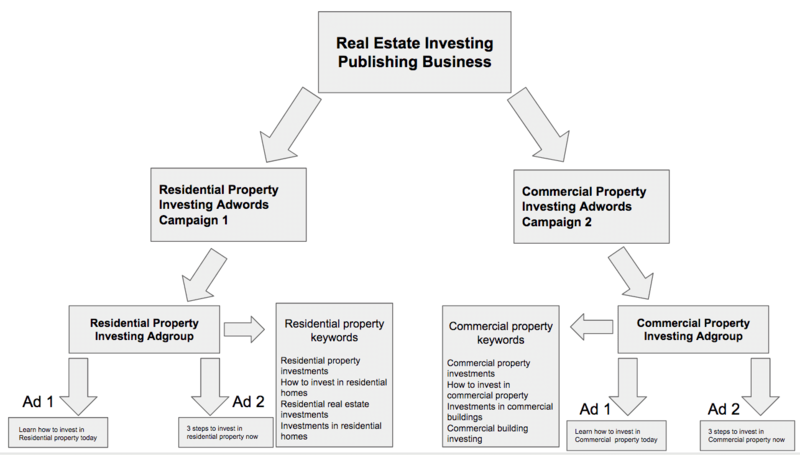 A well-structured AdWords account is a must if you want your ad spend to turn a profit. The foundation of a well-structured account is all about relevancy. We’ve seen Cost-Per-Acquisitions (CPAs) fall by as much as 60% simply by improving the structure of an AdWords account. Keywords, ads and ad groups in each campaign should be tightly related. In turn, Google will reward you by lowering advertising costs.Here is an example of a well-structured AdWords account with two different campaigns that are segmented by niche. Notice how each campaign’s ad group, keywords, and ads have a consistent theme. The Search network is the bullseye when it comes to targeting the hottest potential customers for your products and services. So, without a doubt, Search network campaigns should be your first port of call. 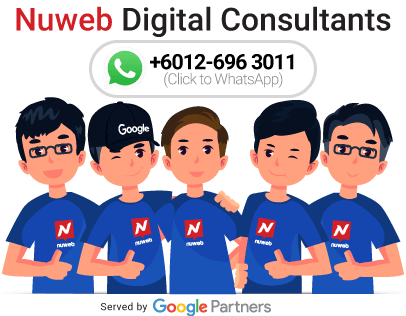 Unlike marketing on the Display network, which interrupts your prospects as they browse the web, prospects on the Search network have actually taken an action by searching for a solution to their problem — already qualifying them as a lead. They are closer to the bottom of your marketing funnel, making them the most likely to convert to a lead or customer.Launching on the Search network also gives you a good idea of contextual keywords that can be carried over to the Display network. 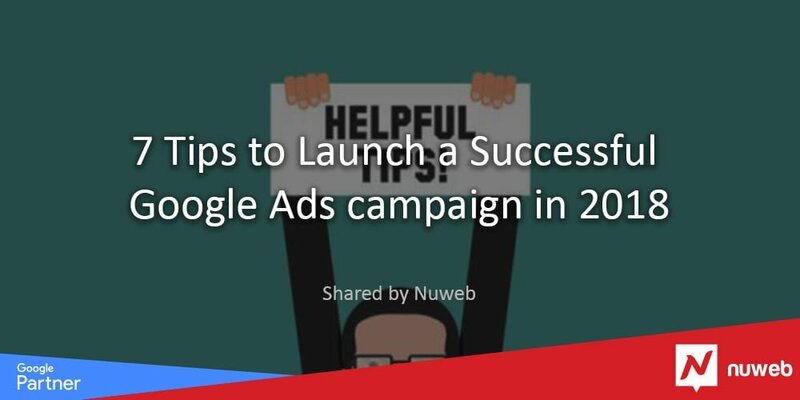 When launching new AdWords campaigns, it’s hard to determine how much traffic your ads will get and how fast you’ll spend your budget. The last thing you want to do is blow a few thousand dollars in the first few hours or days without many conversions to show for your ad spend. I’ve seen it happen!To avoid this, I recommend setting your daily budget to half or even a quarter of the actual daily budget that you have in mind, especially when you are new to the game. This will allow you to ease into the campaign while monitoring how the traffic performs based on your targeting. For campaigns where you select manual CPC bidding, I would also recommend starting with lower CPCs and increase your bids as needed based on the results the keywords produce. Ad copy is arguably the most important part of your AdWords campaign. It’s responsible for attracting the right prospects while repelling those who won’t convert to customers. Here at The Agora, we believe copy is king.I recommend split-testing two very different big ideas in your ad copy. Your target audience will always respond better to one of the two big ideas. I also recommend tracking your results in a way that you can compare sales results from each of ad.You can then use the winning ad copy throughout your marketing funnel and expand on its success. For ads that run on the display network, images are just as important as ad copy. 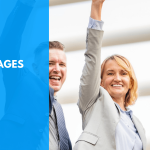 The images you choose for your ads need to grab the attention of prospective customers to make them want to click on your ad. Bottom line: Your ad image must set you aside from the rest of all the millions of campaigns out there.I recommend testing natural looking images against images taken from stock image websites. It’s impossible to know what image will perform better without testing. The screenshot below shows a chalkboard image, tested against natural looking images on the display network campaign. 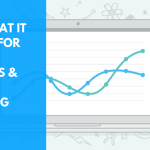 Testing and tracking is not an option if your AdWords campaigns are going to be successful. In most cases when launching a campaign, your initial CPAs are going to be higher than your desired CPAs. Testing different keywords, ads, and bid strategies will help you find the best option to meet your CPA goals.In order for Google to properly track conversions, the AdWords conversion tags must be properly placed on the thank-you pages your prospective customers land on, after taking the desired conversion action on your website. Here’s an example of the AdWords tracking code that is placed the thank-you page. 1) The main tag that’s added to each page you want to collect information on. 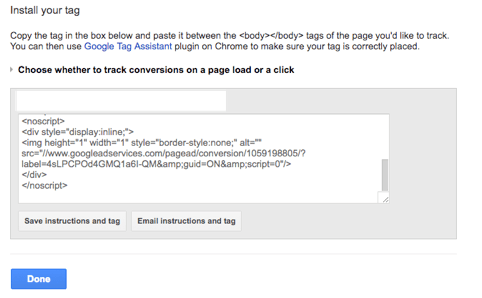 2) Triggers that determine when the tag is executed. 3) Variables used to receive and store information used by tags and triggers. With mobile usage on the rise, there’s a good chance a large percentage of your AdWords traffic is coming from mobile devices. It’s not a good idea to assume desktop and mobile traffic produce the same results. I recommend categorizing campaigns by device type.Structuring your campaigns by device type allows you to handle desktop traffic independent from mobile traffic. This will allow you to set bids separately, create different funnels, and easily track the results by device, ensuring you’re in total control of your ROI regardless of device type. The less restrictive the keyword match type on the Search network (broad and broad match modifier), the higher the chances are that your ad will be triggered by search phrases that have nothing to do with your products and services. It’s a good idea to make sure you’re not receiving clicks from unrelated searches in your campaigns.The “keyword search terms” tab is a great tool to weed out these unwanted keywords from your campaigns. You can add these phrases as negative keywords which would stop your ad from showing in the future when these phrases are used in searches.In AdWords, you can set up negative keywords at an ad group or campaign level. Setting one main negative keyword list at a campaign level will cover all of your ad groups inside each campaign.To set up your negative keyword list, click on the “keywords” tab inside of a specific campaign, and then click on the “negative keywords” tab. You can add keywords at either an ad group level or campaign level by clicking the corresponding red “keywords” button.Keep in mind, negative keywords can also use broad, broad match modifier, phrase, and exact match types to control the traffic that triggers your ad. Following these 7 tips above will not only save you a lot of time but will also help avoid wasting your marketing budget in 2018!